Highlights: Old Town (Centrul Vechi), Victory Avenue , Revolution Square, Palace of the Parliament. 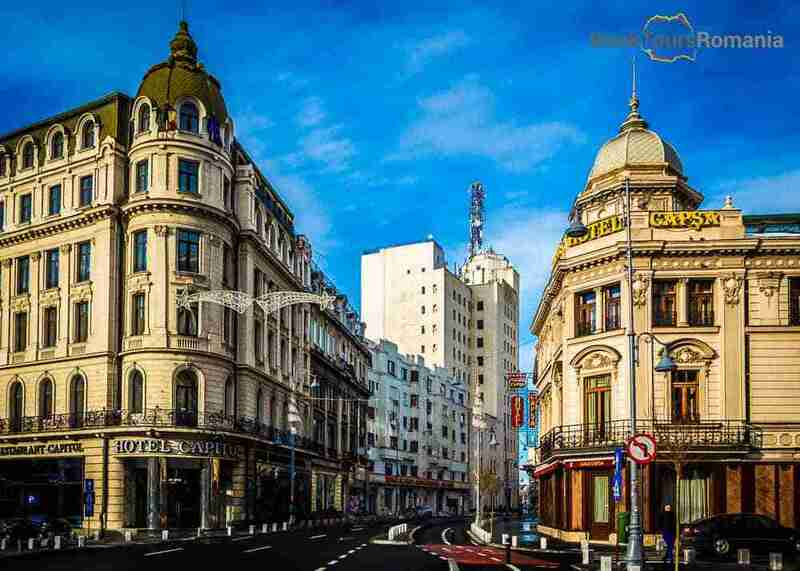 Bucharest City Center Walking Tour helps you discover all major landmarks of Bucharest’s City Center and gives you a better understanding of the history and politics that shaped the town, all from an experienced local guide with all the inside knowledge. Throughout the three hours of this walking tour of the Bucharest City Center, you will discover the highlights of this busy city. The most famous landmarks await, and your local guide has all the great inside stories. 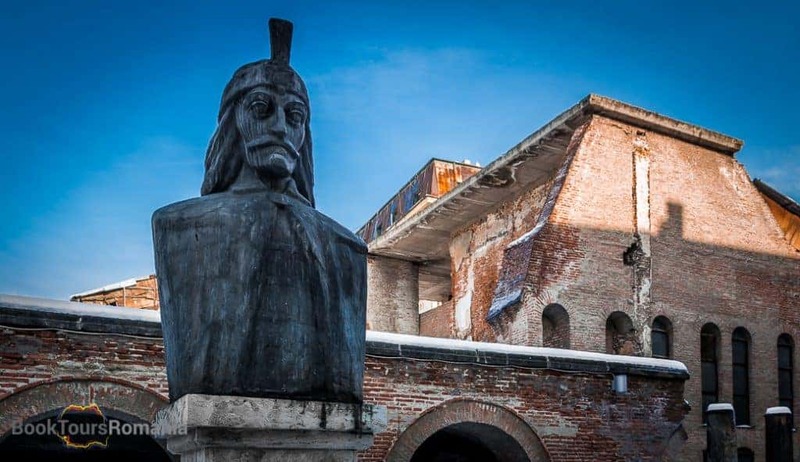 At the end of the tour you will not only have created memories but also you will leave with a deeper understanding of Romania’s culture and the way this country was shaped by its history. 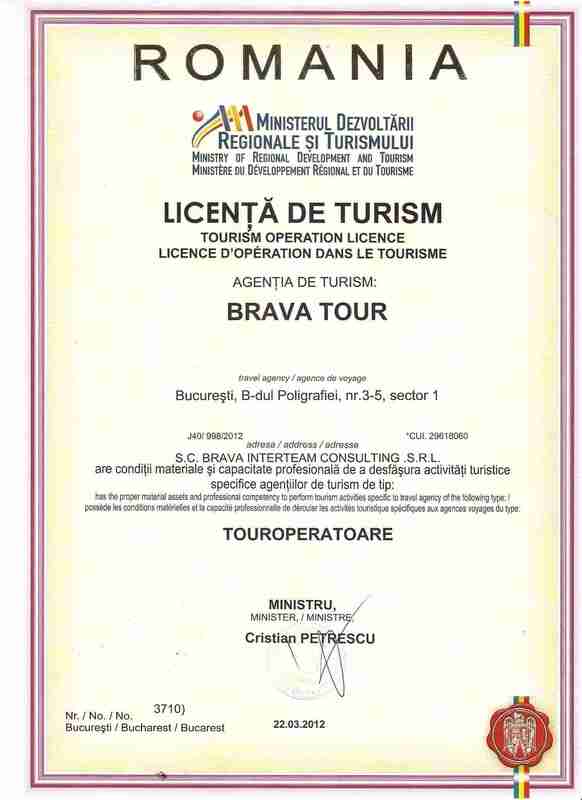 The tour starts in Bucharest Old City Center or Old Town. This is the heart of the city and the place where locals like to hang out in one of the many cafes and restaurants that populate the narrow streets that still hold the name of the guilds that populated them in medieval time. 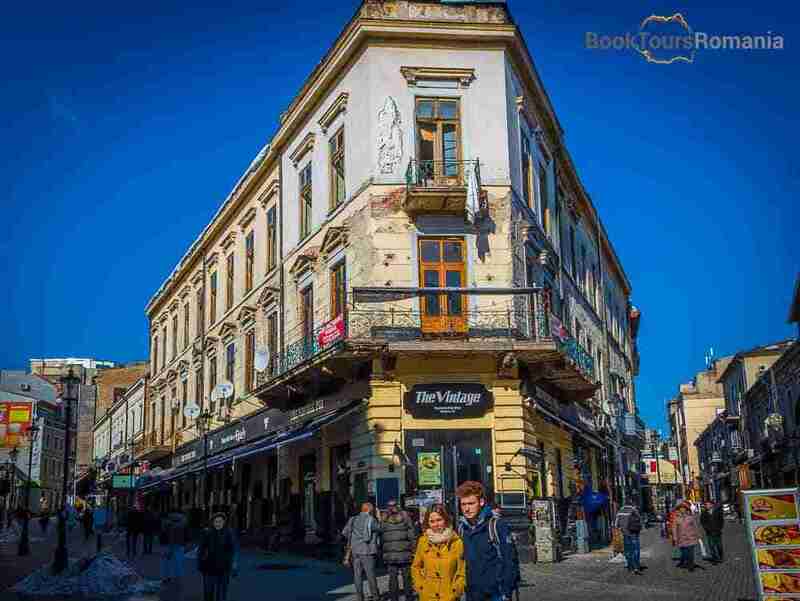 Filled with artisanal shops, antiquities galleries, and animated night clubs, the Old Town has a certain charm to it. Prepare for a journey back in time starting with the Princely Court from 16th Century, parts of which can still be visited, and find out why Dracula’s statue guards it. Then step inside Manuc’s Inn, the last caravanserai of South-Eastern Europe and an architectural wonder among inns in that period. The tour continues with exploring Lipscani Street, one of the most important commercial streets/districts of the city from the Middle Ages to the early 19th century. Debuting in a small square guarded by the Capitoline Wolf, a statue of she-wolf feeding the twins Remus and Romulus, Lipscani area has many gems to offer. We’ll have a stop at Caru cu Bere, probably the most beautiful restaurant in Bucharest, a Gothic revival building with art-nouveau decorated interiors, which serves delicious traditional dishes accompanied by folklore music. Just across from it lies Stavropoleos Monastery, built in a Brâncovenesc style and being the quietest place in the old town. The tour continues with a stroll on Victory Avenue, city’s most famous street. Being the first to be paved, it attracted rich merchants and other town’s people who build impressive houses and palaces here. On our walk, you’ll find more about the most important buildings guarding the street (CEC, The Palace of the National Military Circle, Capsa House, The Athenaeum, and The Telephone Palace) and discover all the hidden passages that connect with the streets nearby. Revolution Square is an incredible spot. 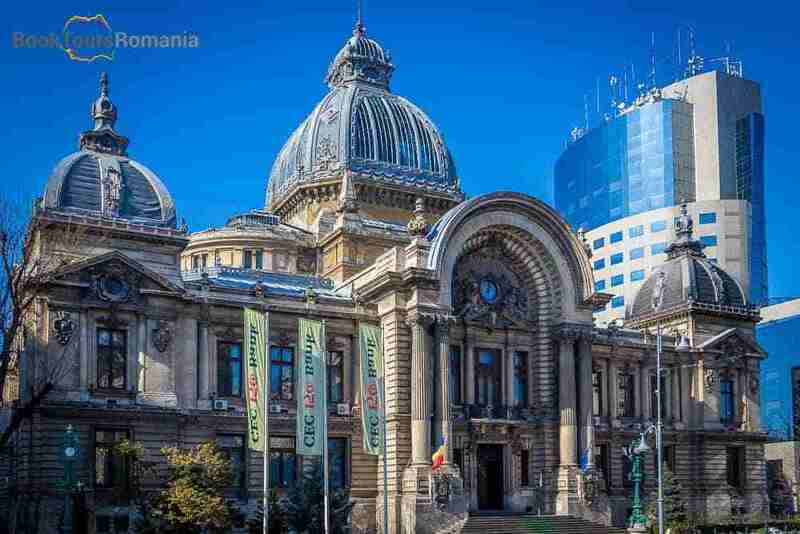 Here you’ll admire the Athenaeum, find more about the Romanian Monarchy while we’ll admire The Former Royal Palace, see the University Library guarded by the statue of Carol I and imagine how the street might have looked like when nowadays traffic was inexistent. 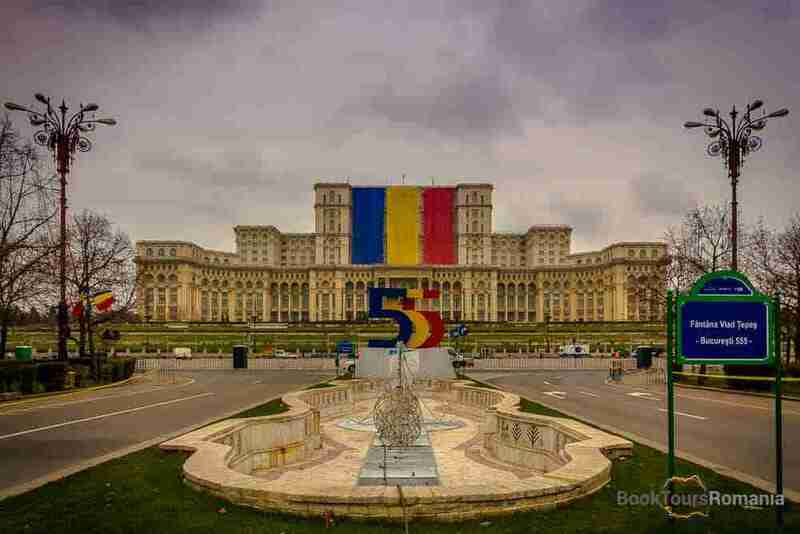 From the footsteps of the impressive House of Parliament, the heaviest building in the world you’ll find out how communism shaped the city and Romania as a country. Be prepared to find out inside stories about the construction of this massive building and Ceausescu, the dictator, from a local that felt all the implications of the communist era on the Romanian people. A private tour with us means a special focus on your interests and desires, allowing you to travel in comfort. Therefore, our private tours are very flexible and can be changed according to your availability and requests.